This has a one-piece(double)outer race and two single inner races and is usually supplied complete with an inner race spacer as a pre-set assembly. 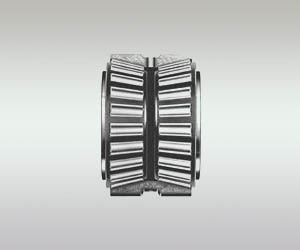 This configuration gives a wide effective bearing spread and is, therefore, frequently chosen for applications where overturning monents are a significant load component. 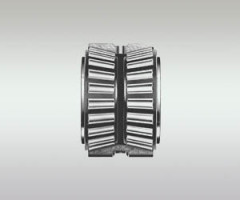 TDO bearings can be used in fixed (locating) positions or allowed to float in the housing bore, for instance to compensate for shaft expansion.